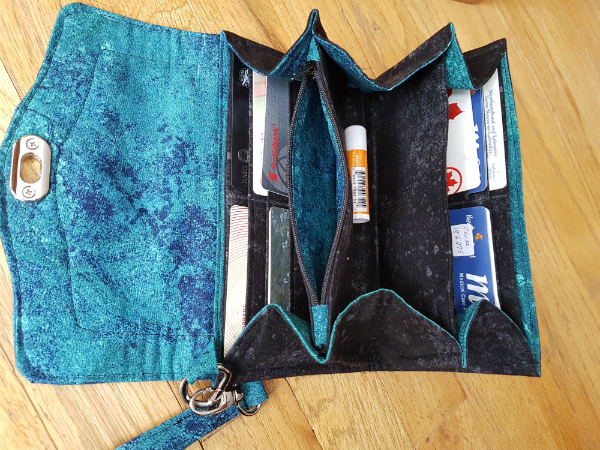 I love, LOVE homemade wallets and purses, but despise making them... if I could get past my impatience with the process, I'd enjoy using a wallet like yours. Yours is wonderful in every way! Great work, Leanne! Well done Leanne! I admire your skills and determination making this! I think the majority of my 'purchases' are left in my cart! 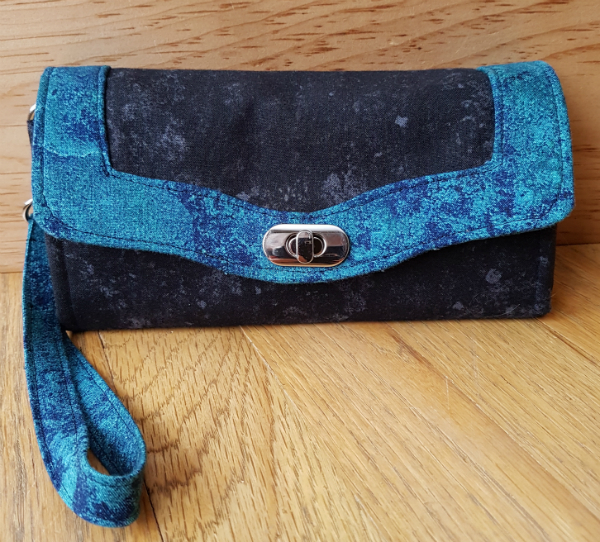 This is a great little purse and perfect for when you don’t need the full on big one! I did have a wallet like this and loved it. May add this to my list of things to make, arghhh. That turned out really nice! Love the color. 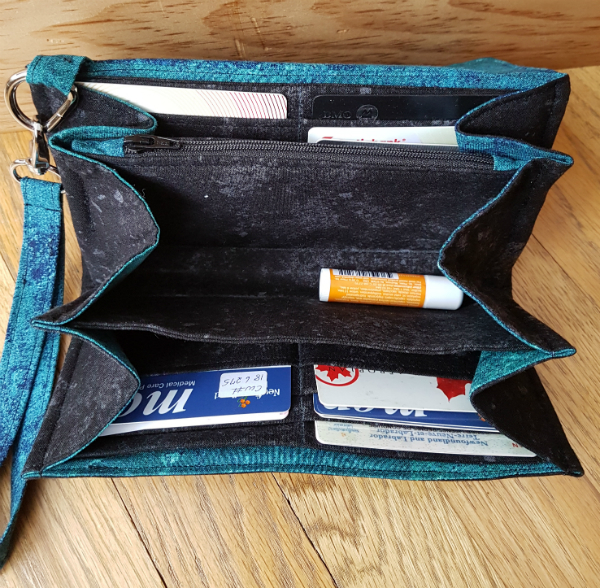 This is the kind of wallet I like to have, but I haven't made one myself yet. I just replaced mine a couple of months ago, and the price, even on sale, for a good one is chokably high. I'll make this next time. Thanks for sharing! And for hosting today. Beautiful wallet! 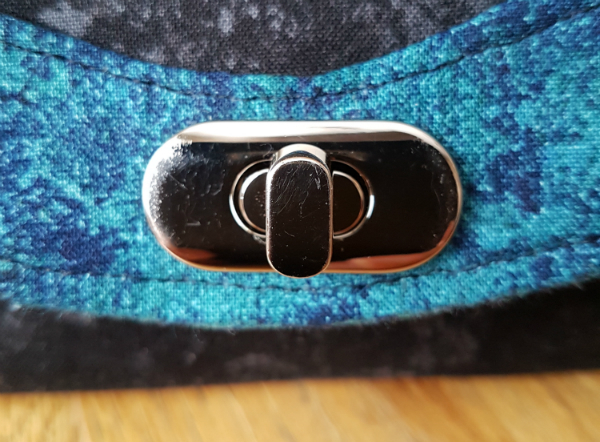 I love the colors and the metal clasp detail. Great job with the beautiful wallet. Thank you for hosting today. What a great finish, Leanne! I'm impressed you tackled it as a project and it looks so professionally made. I hope it holds up and is a perfect item for many years of use. The clutch wallet is so pretty. And very roomy. Great job you did on that. This is Danice from Homespun Hannah's Blog. The clutch wallet is so pretty. And very roomy. Great job you did on that.